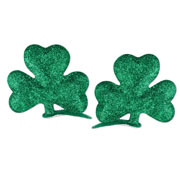 Use St. Pat’s Day Shamrock Cutouts to decorate the halls at any St. Patty’s Day celebration. These are appropriate for church, home, school or the office. 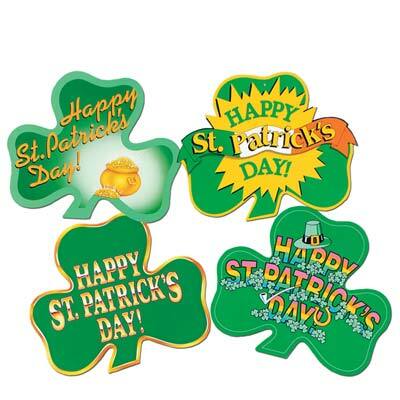 These shamrocks have a variety of designs, all the shamrocks have “HAPPY ST. PATRICK’S DAY” written across. One shamrock has a pot of gold, another has multi-color “HAPPY ST. PATRICK’S DAY” sitting on a bed of shamrocks, the third shamrock has the words exploding out and “ST. PATRICK’S” is written inside the Irish flag. 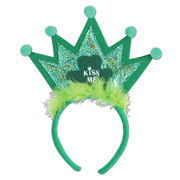 the last design is simply written in gold with gold detailing around the edges of the shamrock.